Seven Acres is a 130 home development by Homes by Skanska at Trumpington in Cambridge. The new homes are being constructed using Catnic's lintels, to provide structural support within the windows and doors of these Scandinavian style houses and apartments. Catnic was selected as the lintel supplier for this project based on its competitiveness, aligned with the high quality and just in time capabilities of its manufacturing. Seven Acres is being constructed in two phases by Homes by Skanska and will ultimately form part of Great Kneighton, a major urban extension to Cambridge. The masterplan is to create a new community within a garden suburb consisting of 2,300 units, including affordable homes. The award-winning homes at Seven Acres have been designed by Homes by Skanska to meet the government's Lifetime Homes standard, achieving levels 3 and 4 of the Code for Sustainable Homes. Each home is designed around Scandinavian design principles, with flexible living spaces and clean, modern lines. Consideration has been given to ceiling heights, with provision for large windows in elegant proportions and plenty of ingress for natural light. 'Fabric First' is at the heart of Homes by Skanska's approach to sustainability. Catnic's standard lintels are able to contribute to this by enabling housebuilders to achieve optimal efficiency through the lintels within cavity walls. Specification of lintels that are designed to reduce thermal bridging – optimising steel use through discrete brackets instead of continuous base plates – provides a highly efficient solution to the building envelope. Other sustainable features at Seven Acres include photovoltaic panels, sun pipes, heat recovery systems, water saving and triple glazing on all properties. 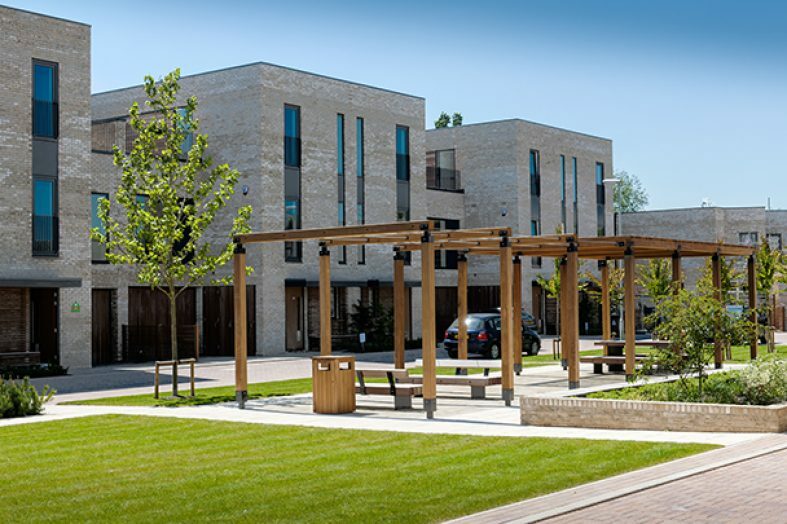 "Catnic is able to provide quality products according to the demands of the project at a competitive price"
Catnic lintels are being supplied to the Seven Acres site for Homes By Skanska through the Cambridge branch of Jewson. Crucially Catnic is able to provide a free scheduling service, helping to support merchants and their customers in the specification and order process for large lintel volumes. Combined with this, Catnic's just in time capability means products are available onsite according to the developer's construction schedule and its on time in full record of 97% is testament to the reliability that comes with the Catnic name.